Στην περιοχή Πόλη Κράμπι, το Baansamrarn αποτελεί ιδανικό σημείο για να εξερευνήσετε την πόλη Krabi και τα περίχωρα. Το κέντρο της πόλης είναι μόνο 0.3 km μακριά και μπορείτε να φτάσετε στο αεροδρόμιο μέσα σε 20 λεπτά. Με την βολική του τοποθεσία, το ξενοδοχείο προσφέρει εύκολη πρόσβαση στους προορισμούς της πόλης που πρέπει οπωσδήποτε να δείτε. Στο Baansamrarn, η άψογη εξυπηρέτηση και οι ανώτερες εγκαταστάσεις συντελούν ώστε η διαμονή εκεί να σας μείνει αξέχαστη. Τα δωρεάν WiFi σε όλα τα δωμάτια, ημερήσιος καθαρισμός, υπηρεσία ταξί, υπηρεσία εισιτηρίου, 24ωρη φύλαξη είναι μόνο λίγες από τις εγκαταστάσεις που κάνουν το Baansamrarn να ξεχωρίζει από τα άλλα ξενοδοχεία στην πόλη. Οι πελάτες μπορούν να επιλέξουν από 34 δωμάτια καθώς όλα διαθέτουν μια ατμόσφαιρα απόλυτης αρμονίας και γαλήνης. Εξάλλου, το ξενοδοχείο διοργανώνει πολλά ψυχαγωγικά δρώμενα έτσι ώστε να έχετε πολλά πράγματα να κάνετε κατά τη διαμονή σας. Το Baansamrarn είναι μια έξυπνη επιλογή για τους ταξιδιώτες στη Krabi προσφέροντας κάθε φορά μια ήρεμη και ήσυχη διαμονή. Pros - Very reasonable price even during peak seasons. Very clean. All shoes must leave downstairs. Nice staff. Cons - No lift. Bed a bit hard. We only stayed here one night as we were passing through Krabi to reach Ko Lanta and this place is pretty close to the pier. The room was clean and the aircon was good. They were happy to change our arrival date after we mixed up our flights. They also booked us on to a mini-van to get over to Ko Lanta at a reasonable price, which saved us having to go out and find some where to book. Nice sized rooms with a.c. and facilities to wash clothes. There was even a balcony. The shower and wc were a bit disappointing when compared to the overall hotel building. There's a keycard to enter the hotel at night when the reception area is not manned. 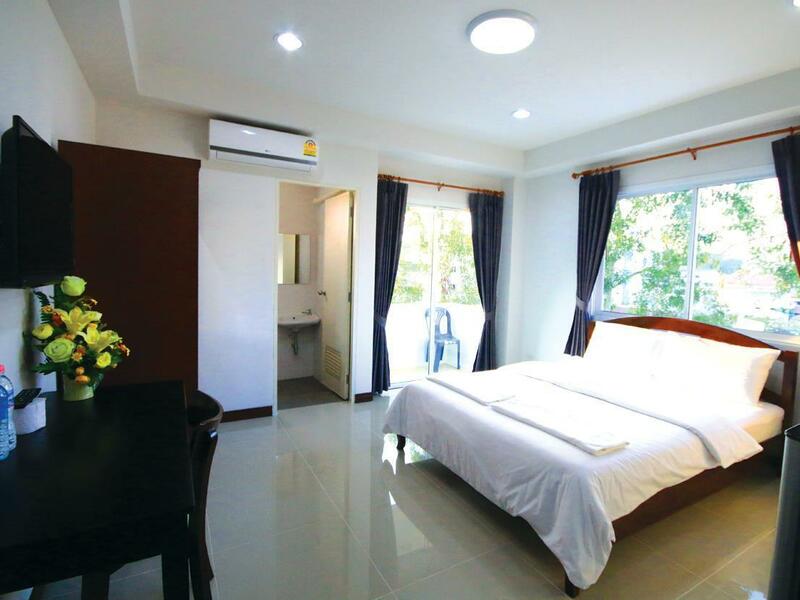 It's located within walking distance of the centre of Krabi and the pier. A bit tricky to find. Clean throughout the entire building. Super helpful stuff and clearn and comfortable room. They sometimes couldn't understand my English, but it seemed they tried to help me as much as they could, so it didn't bother me. It's a little bit complicated to get there from the center of the krabi town, but not that inconvenient. We had a very nice stay. Rooms are super clean and everything is new. It was no problem to extend our stay. Hotel is close to almost everything in krabi but still very calm at night. The owner and his family are great hosts! If you are in krabi, you should stay here! Also very flexible when friends of us decided to stay 2 instead of 3 nights, even returned them the money for the night they didn't stay here! The room was big, clean and comfortable . Just a minute walk to 7-11.The night market was near to hotel. Friendly staff. Got refrigerator inside the room . Got balcony to dry your cloth. Very recommended. Easy check in, clean. Air conditioning, balcony and fridge were a bonus. Only a ten minute walk to shops, restaurants, coffee shops, night market, post office to mail souvenirs home, and long tail boat to Railay. Room was spacious and very clean. Located 5 minutes walk to town and night food market. Host was very welcoming and provided airport transfer for good price very early in the morning. Small areas for improvement would be: Kettle in room. Great light clean rooms, really helpful gentleman at the front desk, free water, comfy bed - even if it is a little on the hard side. Bathroom floor gets very slippery when wet though! Be careful. Would recommend, would stay again without hesitation. We were sick for the majority of our time at Baansamrarn and, all things considered, we had a great stay. The owners were friendly, accommodating, and helpful. When we were sick and needed to check in early, they allowed us to; once we were ready to leave from Baansamran they informed us of all of the travel options. Would recommend this hotel wholeheartedly! The place is just four blocks away from the river and it seems to be pretty new. The rooms are very neat and even have a small fridge. The place is run by a family and they are very friendly and helpful. I'd definitely recommend this place and stay there again. I am a returning visitor to Krabi and had to look for a new place to stay since the Hotel I always stay was fully booked. Found this on Agoda and I loved it. Totally new place, friendly owners, immaculately clean and well kept, and just 5 min walk to the main road with all shops and bars. I liked it so much that I even came back after visiting some Islands. Excellent value for Money!!! Brand new hotel, everything is new and clean. Great value for money! Spacious room with fridge, aircon, tv cable. Excellent location just a few blocks from the river and to the main street with the temple and night markets. Excellent service. The owners take care of everything. They drop us to the airport for the same fare as the taxis in a big and comfy car. I would absolutely reccomend this hotel in Krabi. Helpful, friendly and perfect location. I loved staying here. Koy and his wife made us feel very welcome, the room was wonderfully clean, with hot shower, air con, a little balcony and comfortable beds, ( with the best pillows yet experienced in Thailand!) 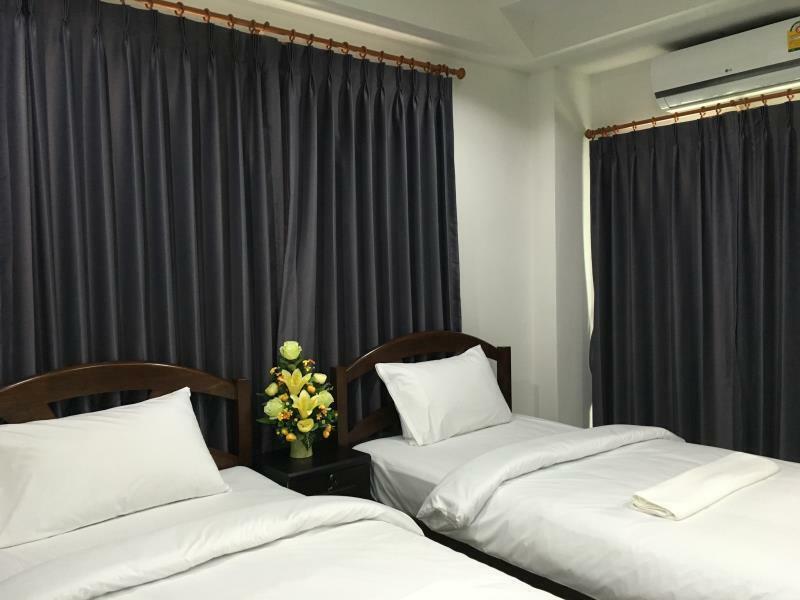 The hotel is in a brilliant location, situated in a quiet side street with well kept Thai houses, but at the top of the road are lovely places to eat. It's a five minute walk to town, the pier for boats to Phra Nang, and the night market with delicious cheap food. Little local bars with live music just around the corner. At the moment the Baansamran does not offer food, but a little basic breakfast is available for 40 baht if required. Koy made every effort to facilitate trips and our onward journey at a much better price than all of the 'travel agents', and without any pressure to accept his help. I can't recommend this place highly enough.